LepiMAP is an African Lepidoptera Citizen Science mapping project, run jointly by the Animal Demography Unit and LepSoc Africa. LepiMAP’s long term (and very ambitious) aim is to establish the distribution and conservation priorities of all butterflies and moths of Africa. LepiMAP represents an excellent opportunity for you to make your photography count for conservation. A huge database of photographs (with their locations) of butterflies and moths throughout Africa is being built. 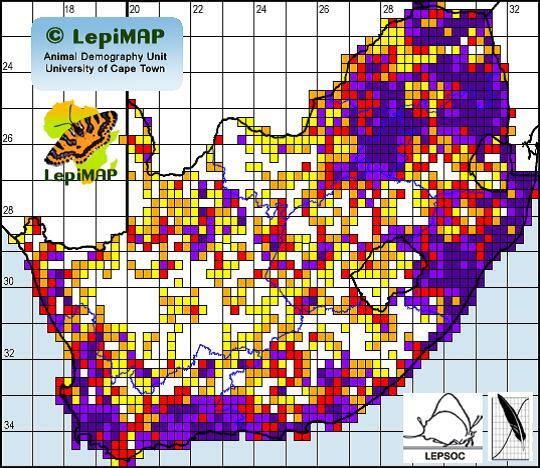 LepiMAP is a continuation of the South African Butterfly Conservation Assessment (SABCA) project, during which a database of over 300 000 records of butterfly distributions (mostly acquired from digitising and georeferencing collections) was built. LepiMAP continues to add to this database to generate distribution maps for all of Africa’s Lepidoptera. These maps enable their conservation status to be monitored, and provide early warning of threats to various species. So please upload your photos of butterflies and moths onto the LepiMAP database. The website at which you can submit your photos is at vmus.adu.org.za. LepiMAP is a great way to involve everyone in Lepidoptera conservation. Spread the news! Get your family and friends involved, and let’s get out there and start LepiMAPping!! 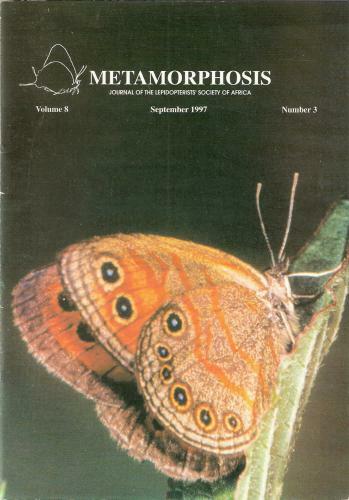 Become part of the African butterfly and moth mapping community, and to keep up to date with all the LepiMAP project news you can like the page here: www.facebook.com/LepiMAP. These were previously known as Butterfly Census Week (BCW), which proved to be difficult because of unpredictable weather. Also, the identification of species seen could not always be verified to the same degree of accuracy as used in LepiMAP. LepSoc and the ADU therefore decided to change BCW to two seasonal, month-long ‘BASHES’, with a photographic emphasis. LepiMAP is sponsored by the Woolworths's Good Business Journey project, for which we are very grateful!